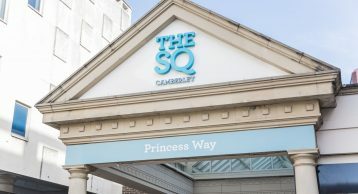 With over 100 retail units occupying 460,000 sq ft, The Square, Camberley forms a central part of investment into the whole of Camberley’s town centre retail offer and public realm. 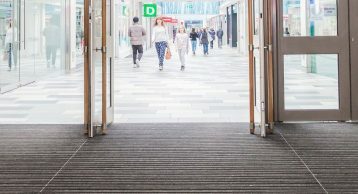 Attracting more than 180,000 shoppers each week, with an annual footfall of over 9 million, cleaning and maintenance is a never-ending challenge. 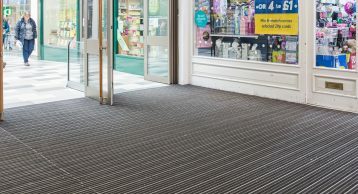 Entrance Matting is the first line of defence against dirt and moisture. 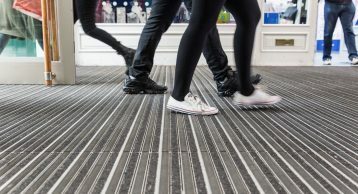 Ensuring the right specification for your building helps to prolong the life of internal floor coverings, minimise cleaning costs and ensure your venue is attractive and safe for visitors. 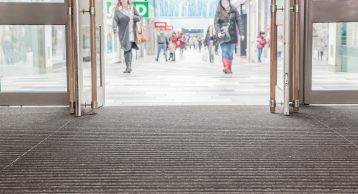 Using a zonal approach, The Square Shopping Centre installed INTRAgrille combined with INTRAflow Entrance Matting. 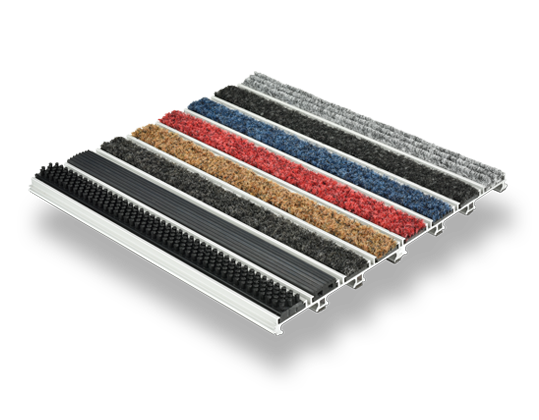 This dual product system removes excess dirt and moisture even before the first step into the building. 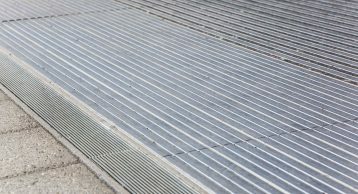 INTRAflow Entrance Matting is our most effective matting solution for areas with inclement weather conditions. Its open drainable construction allows excess water to filter down its channels to further ensure that dirt and moisture aren’t tracked onto the flooring beyond. 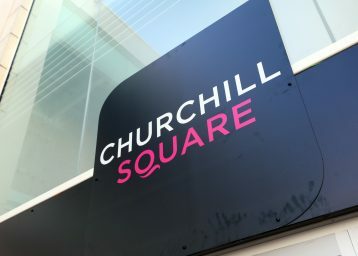 Utilising Stainless Steel grilles and heavy duty aluminium matting paired with ribbed rubber and INTRAlux Elite black fibre inserts, the specification used at The Square provides a robust entrance matting system for this high traffic environment. 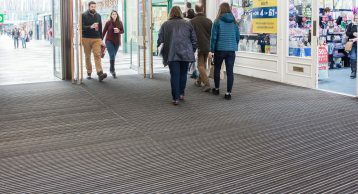 INTRAsystems has worked with shopping centres throughout the UK to specify the right entrance matting solution for their needs, helping them to reduce costs, maintain safety and making a lasting impression on shoppers. 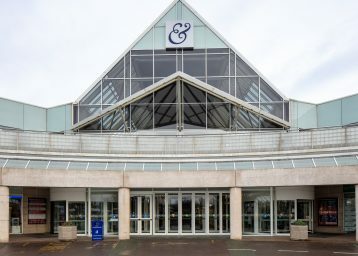 View some of our previous shopping centre case studies for ideas and inspiration or contact us to discuss your next project. 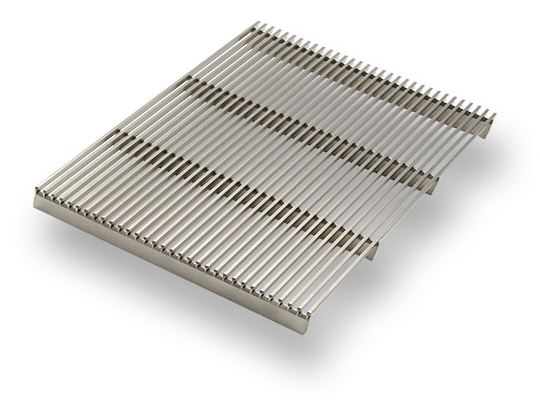 Heavy duty aluminium Entrance Matting for highly efficient moisture removal and drainage. 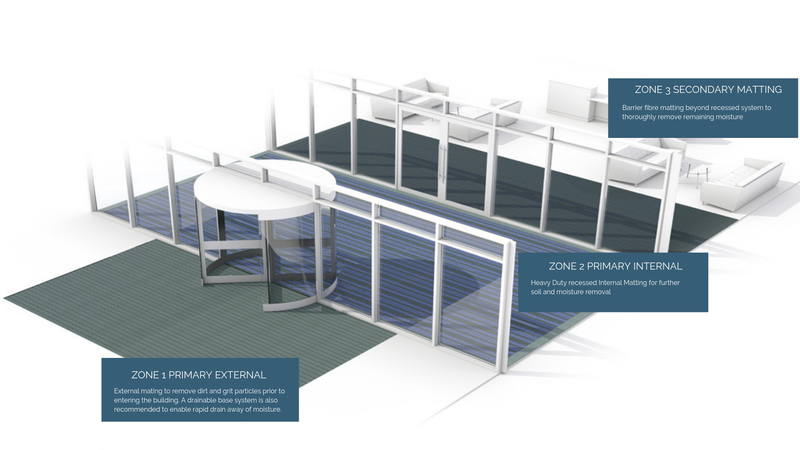 Ideal for exposed areas with high footfall levels.